A naturally smoked handmade cheese with the flavourful characteristics of the distinctive Lincolnshire Poacher. Simon and Tim Jones produce award-winning handmade Lincolnshire Poacher Cheese on their dairy farm situated on the eastern edge of the beautiful Lincolnshire Wolds, where the lush pastures sit on chalky land. They are the fourth generation to be running the family farm which has been in the family since 1917. They use their freshly produced unpasteurised milk from their own dairy herd which graze on the rolling hills of the farm is the basis for the distinctive characteristics of the cheese. This is, of course in conjunction with the care and attention taken during the making of each individual batch of handmade cheese. To ensure the milk is of the highest quality, the ‘girls’ are treated like royalty - they’ve even got their own brushes so they can give themselves a good scratch. The cheese is made in a similar style to West Country Cheddar although there are several key differences in the recipe that give Lincolnshire Poacher its own unique flavour and texture. This means there is plenty of character to the cheese but in a restrained style. Simon Jones learnt his cheese making technique form the late Dougal Campbell who in turn learnt in Switzerland, and so it is not surprising that Lincolnshire Poacher, although similar to a Cheddar has some marked differences which mean it can be likened to the continental hard mountain cheeses, such as Comte. Cheeses are matured for 14-16 months and then selected to be sent to a local family run smokehouse. The cheese is cold smoked over untreated dampened oak chips for 24 hours. 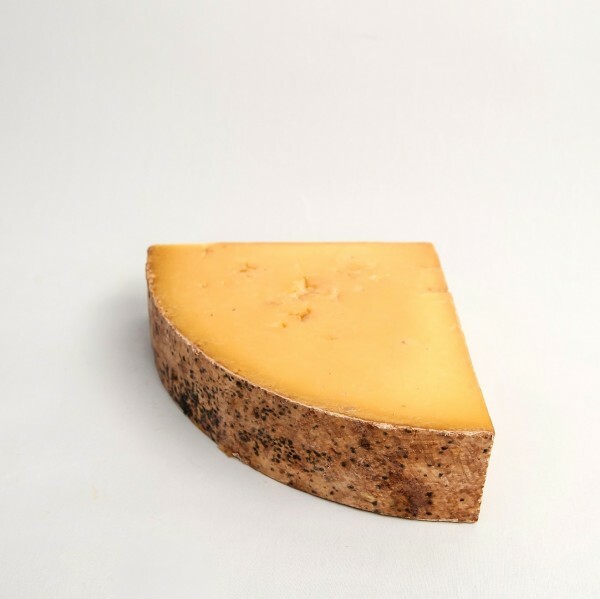 Cold smoking gives the cheese a golden brown colour and delicate smoked aroma and flavour, through which the distinctive Poacher characteristics of fruity and sweet nuttiness are still evident. Smoked Poacher won Best Flavour Added Cheese at the British Cheese Awards 2016. Smoked Poacher won a Gold Medal at the British Cheese Awards 2015. Smoked Poacher won Best Flavour Added Cheese at the British cheese Awards 2009.